Typically, prescription formulas contain retinoic acid. This ingredient fights the visible signs of aging. But over-the-counter alternatives are formulated with retinol, which is converted into retinoic acid by the body. Even though both retinol and retinoic acid are biochemically the same, retinol is considered to be gentler on skin. While you might experience redness and peeling, those two side effects have nothing to do with exfoliation. These are simply side effects of the irritation caused by retinol. 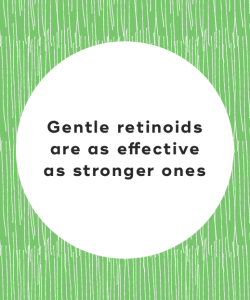 Instead, retinol works on a deeper level -- it increases collagen production, smoothes skin, and evens out pigmentation. This is actually the biggest retinol myth out there. 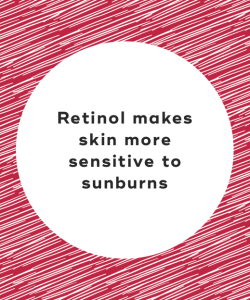 While retinol does break down in sunlight, it doesn't make your skin more prone to sunburns. But retinol is still most effective when worn at night. 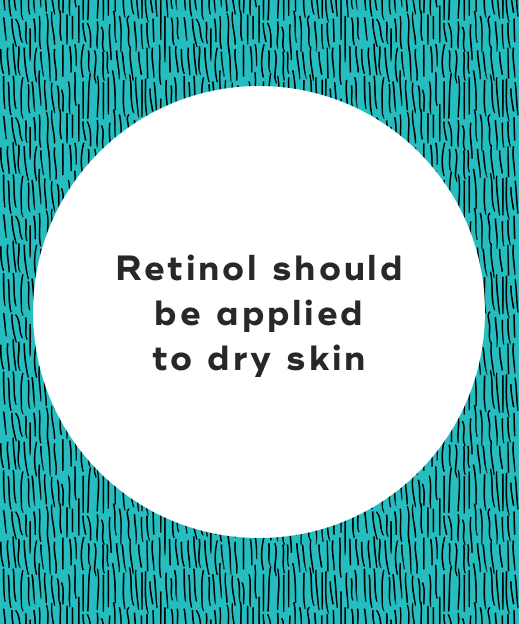 While most instructions state that you should apply retinol creams and serums to dry skin, you don't have to. In fact, no research exists suggesting that applying retinol to damp skin increases sensitivity or decreases effectiveness. How you apply retinol doesn't affect how well it works -- it all comes down to your skin's chemistry. 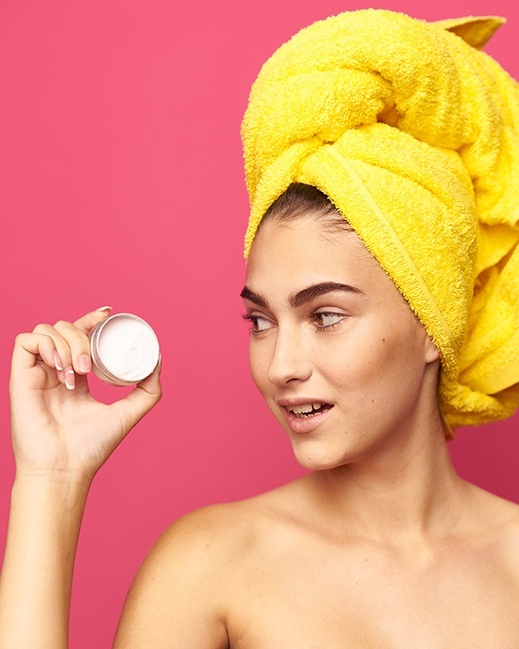 While a ton of over-the-counter skincare products claim you'll start seeing visible results in just a matter of weeks, it'll actually take two or three times longer than that. 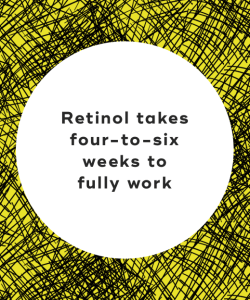 On average, it takes 12 weeks of consistent retinol use before you'll experience noticeable changes. While most instructions state that you should apply retinol creams and serums to dry skin, you don't have to. In fact, no research exists suggesting that applying retinol to damp skin increases sensitivity or decreases effectiveness. 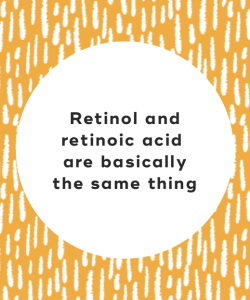 How you apply retinol doesn't affect how well it works -- it all comes down to your skin's chemistry. Retinol skin care products designed for sensitive skin often contain lower concentrations of active ingredients. But these skin care products are the perfect introduction to retinol. As your skin gets used to retinol, you can increase its strength over time. You'll probably notice some irritation when you begin using retinol products. But this is all part of the process, and you shouldn't necessarily discontinue use of retinol. Usually, within two or three weeks, your skin will begin to adjust to retinol and any irritation will subside. If you notice any prolonged or uncomfortable skin irritation, then you should only use retinol once a week or switch to a weaker formula. 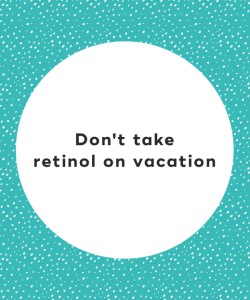 Actually, you should use retinol around your eyes because that's where most of the visible signs of aging show up. And if you're afraid of accidentally getting retinol in your eyes, don't worry -- your eyes might sting, but it won't do any harm. Contrary to popular belief, a change in client won't make your skin react differently to retinol. Once your skin has adapted to retinol, most irritation goes away. You won't experience irritation again until you switch to a stronger formula. Make sure to layer a heavier moisturizer over your retinol so your skin doesn't dry out too much. 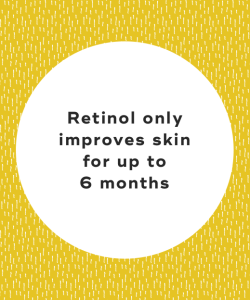 Most clinical studies show that retinol can improve skin for over a year, and this is even true of over-the-counter retinol. Once a year is up, you'll probably be ready to use a stronger formula. There's a reason why dermatologists love retinol so much -- because it actually works! While most people should begin using retinol-containing skincare products at age 30, even those in their 20s can start using weaker formulas. 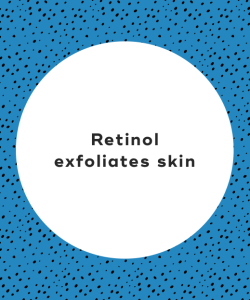 Start off using retinol every other day until your skin builds up a tolerance, and then you can gradually increase the frequency of application and strength. "11 Retinol Myths That Derms Want You to Stop Believing," Allure, June 13, 2018. "Retinol Treatment and Your Skin," WebMD, n.d.
"Skincare Demystified: What is Retinol and Why Should You Add it to Your Skincare Routine?," Cosmopolitan, January 10, 2018.